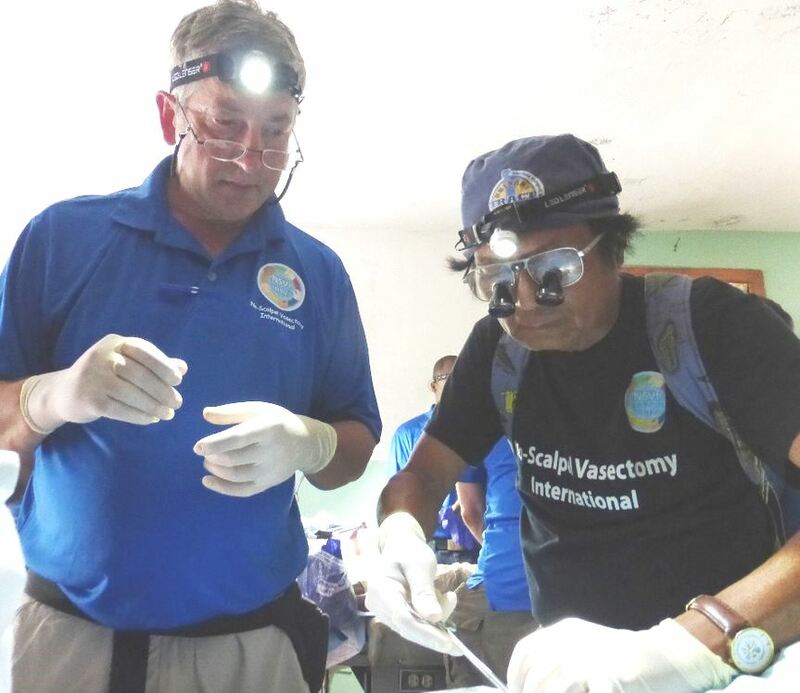 2017 June | No-Scalpel Vasectomy International, Inc.
From June 21 to June 24, NSVI conducted its 14th vasectomy mission in Haiti. Vasectomies were performed on 145 men (average age 46.2) who had had a total of 704 children. While the average number of children per man is still very high, we have seen a slight decrease over the last two missions from 5.48 on October 2016 (average age 44.5) to 5.39 in March 2017 (average age 46.3) to 4.86 during this mission. We may be seeing a greater percentage of men who accept vasectomy after 2-3 children, enabling themselves to nurture those children with more attention and better education even with their limited resources. In June, NSVI guest vasectomists were all Americans, representing the East Tennessee mountains, the Carolina Piedmont, the Indiana flat lands, and the specialties of urology, OB/GYN, and family medicine, respectively. 1. 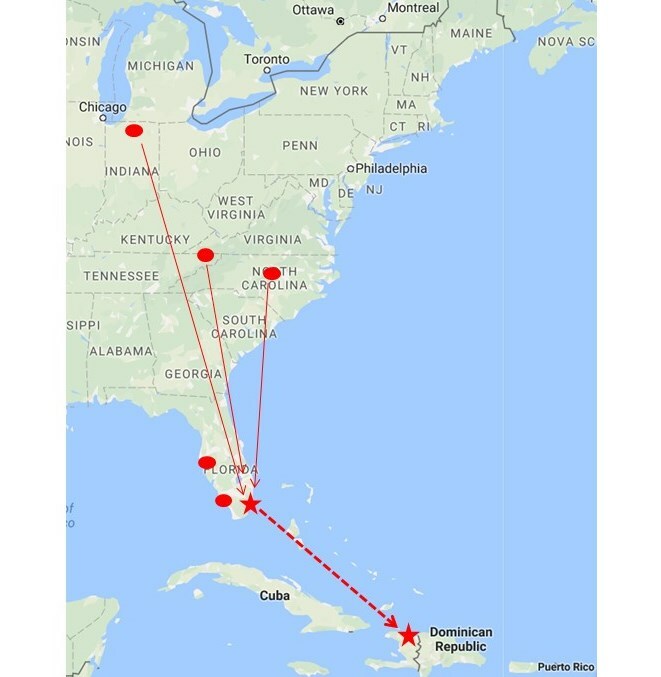 After meeting in MIA, we arrived in Cap Haitien on American Airlines #2732 at 4:39 PM. 2. 5:15 PM: Exchanged money at Hopital Ft.St.Michel (HFSM). 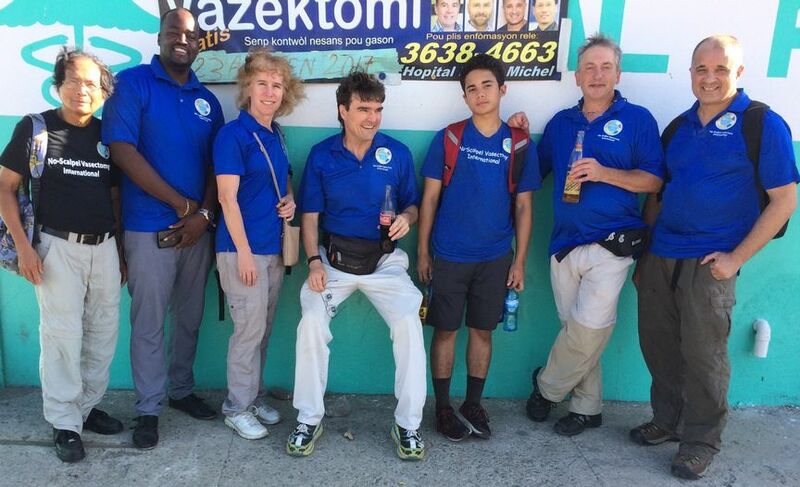 Picked up stored supplies, procedure tables, and Mayo stands at the Cap Haitian Health Network (CHHN) office. 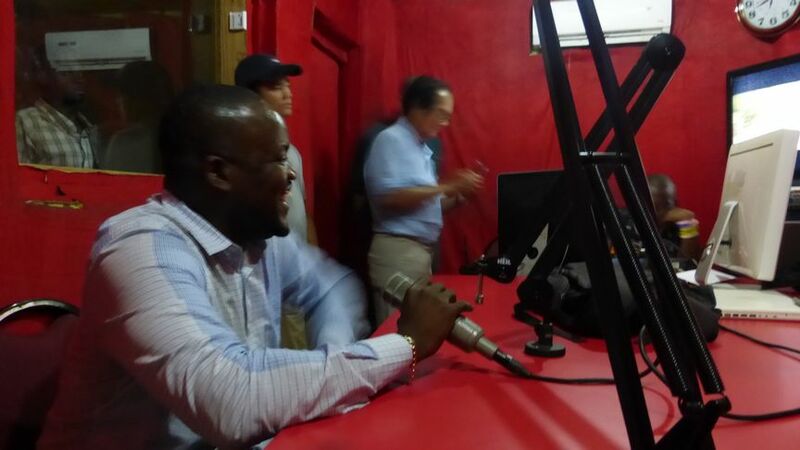 Participated in a radio show to explain the benefits for vasectomy, the purpose of our mission, and where and men could take advantage of the opportunity. Spent the evening at Hotel Roi Christophe organizing supplies to equip two teams. All went to Clinique Dugué in Plaine-du-Nord, and continued to train Dr. Dugué. 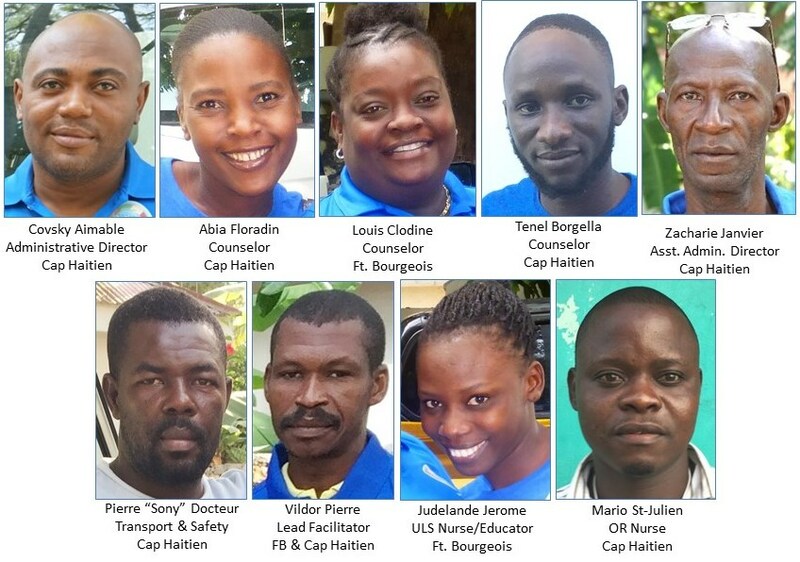 While Team 1 stayed, Team 2 went to ULS in Ft. Bourgeois, performed 14 vasectomies, then returned to Clinique Dugué to help finish a total of 55. We had planned to send a group to Limbe, but there were only 5 patients in Limbe, so they were transported to Plaine-du-Nord. All went to Clinique Esperance et Vie in Terrier Rouge, hosted by Dr. St.Vil. Only 7 patients there, but we learned that family planning services in Terrier Rouge are actually provided at another local clinic run by Dr. Benjamin Abnel. 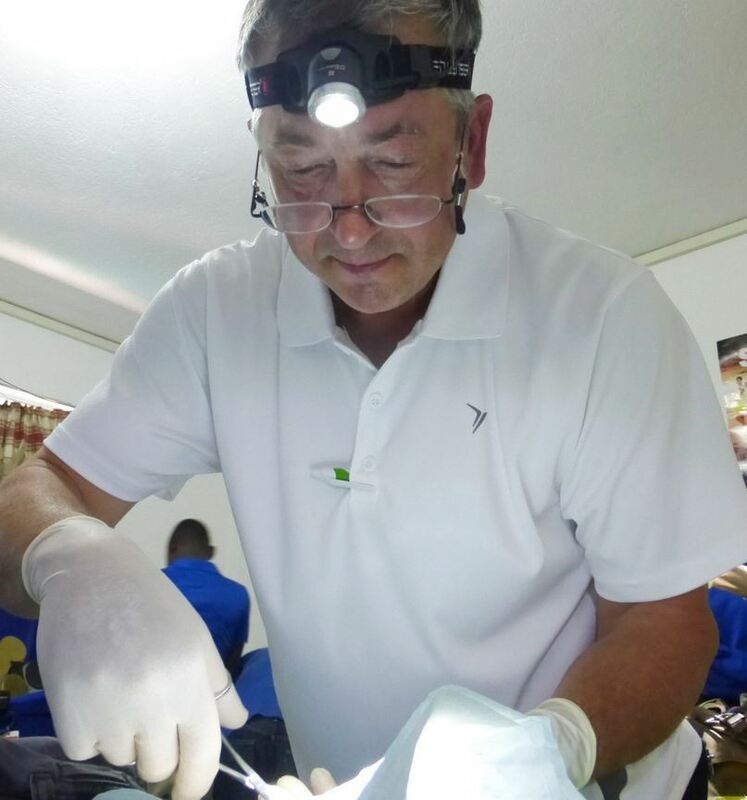 Dr. Abnel kindly accepted an invitation to meet us at Clinique Esperance, where we provided him with brochures and shared e-mail addresses so that he can help notify patients about our next mission. 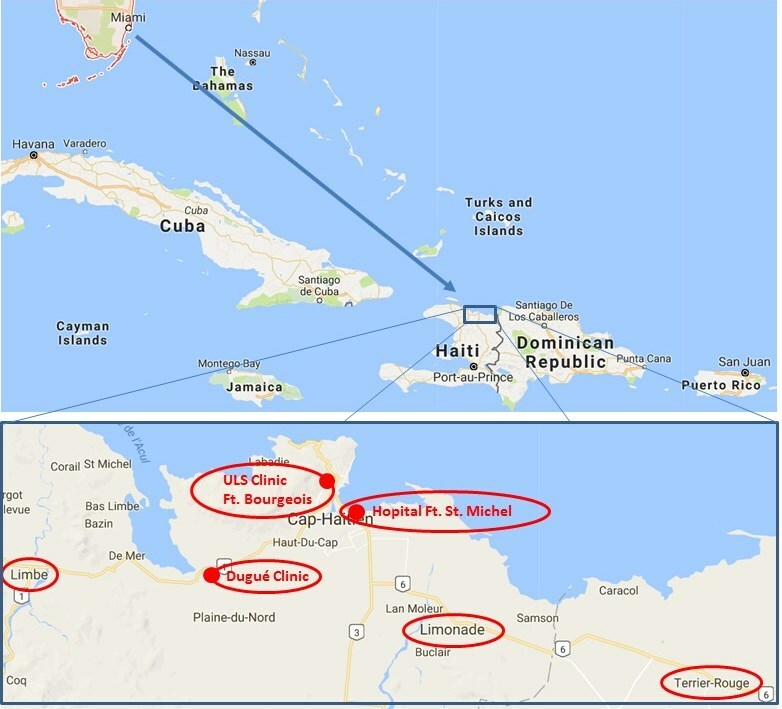 We then headed back to Cap Haitien, stopping at Clinique RJP-CRAPS in Limonade, directed by Dr. Romel, where we performed 12 vasectomies, before going to Hopital Ft. St. Michel (HFSM) for 15 vasectomies. 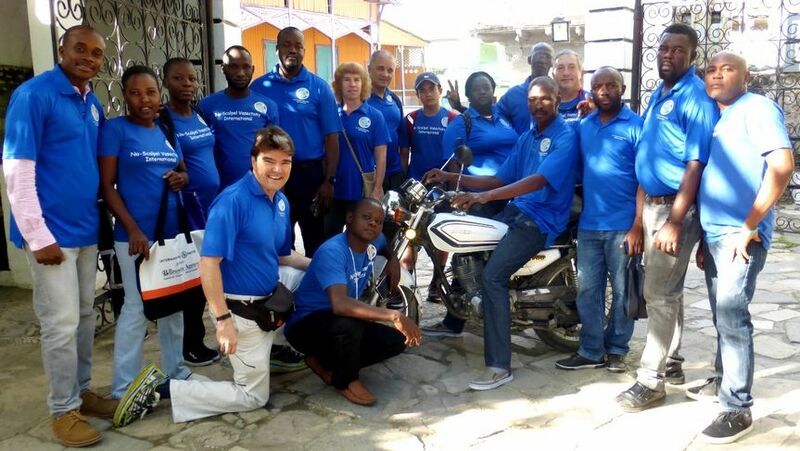 42 vasectomies at HFSM in Cap Haitien. Departed CAP at 5:34 PM on American Airlines #2732. First stop is always Hopital Ft. St. Michel, only 5 minutes from the airport. Charles brought son Charles Junior to experience a world very different from his own. 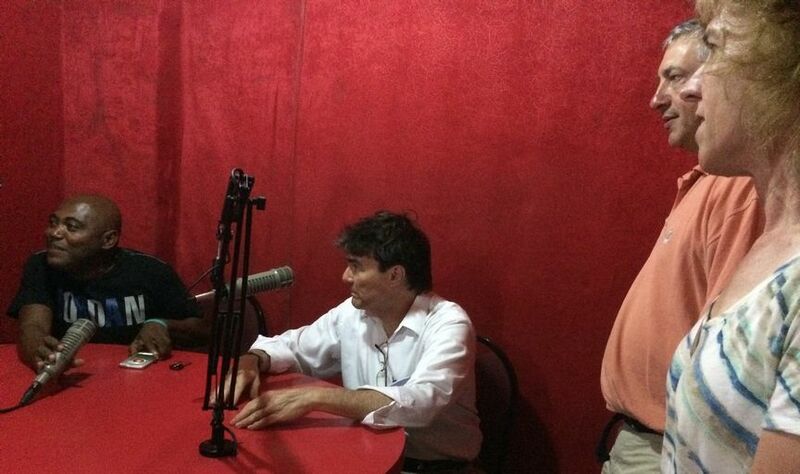 We were “on the air” explaining the ease and benefits of vasectomy to our radio audience. Harold shined as our charismatic Haitian-American acceptor. 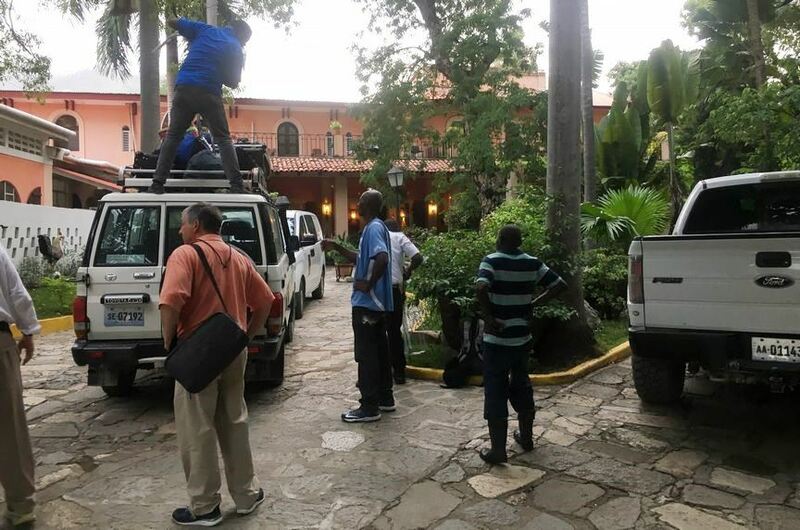 Arrival at Hotel Roi Christophe, Sony unloading new supplies brought from the USA and stored supplies picked up at the Cap Haitien Health Network office. 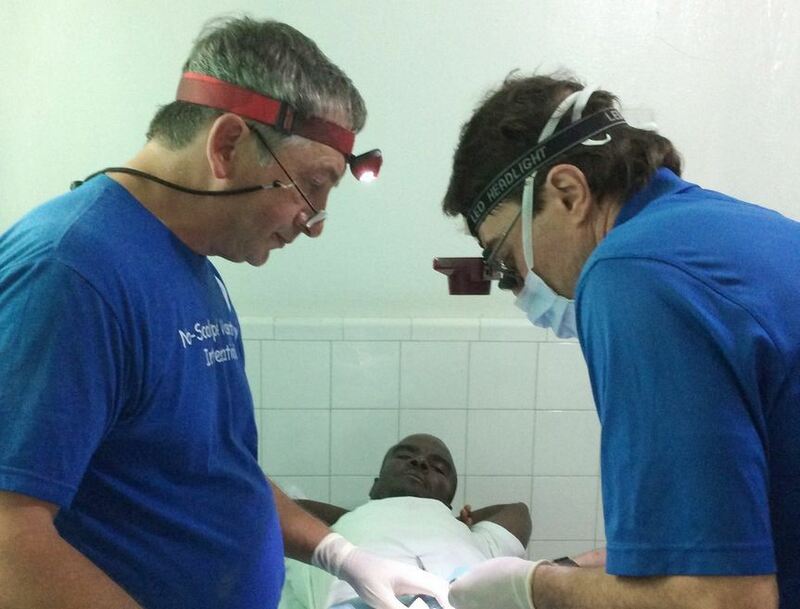 Always huge appreciation for Ted Kaplan (1) for founding the CHHN, our anchor in Northern Haiti, (2) for recommending Covsky as our Administrative Director, and (3) for allowing NSVI to use the CHHN Honda Element as our second vehicle. The whole team ready to go next morning. On his motorbike, point man Vildor whips ahead of us to begin recruiting before our arrival at each site. 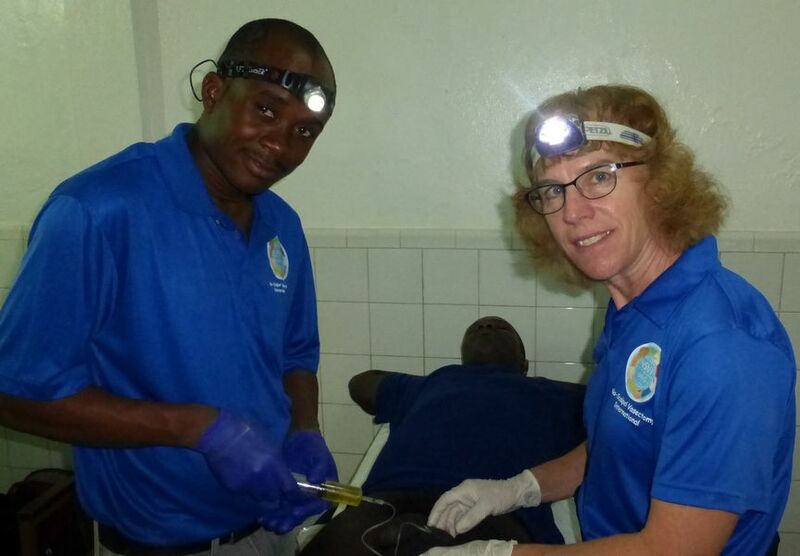 At the Dugué Clinic, Michelle and Classaint drain the first of many hydroceles to facilitate vasectomy. Doug and Greg work together for the first time, sharing tips and tricks. Charles Senior shows Charles Junior what it’s all about. 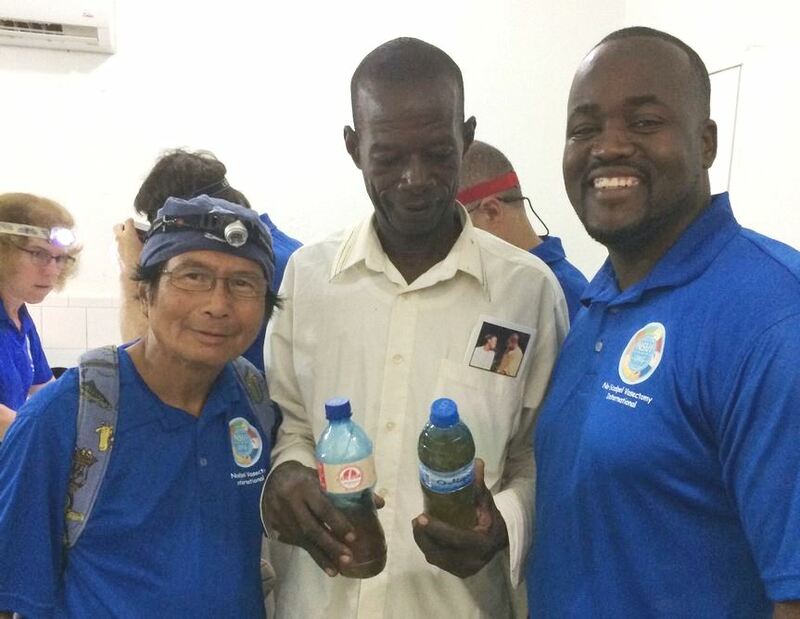 Ramon and Harold pose with a patient relieved to be unburdened of 31 ounces (470 ml) of hydrocele fluid from between his legs. Michelle on a roll … one after another. … until Greg is cruising on his own. These scrotums and vas tubes are a little different from the ones back home in the hills of Tennessee. 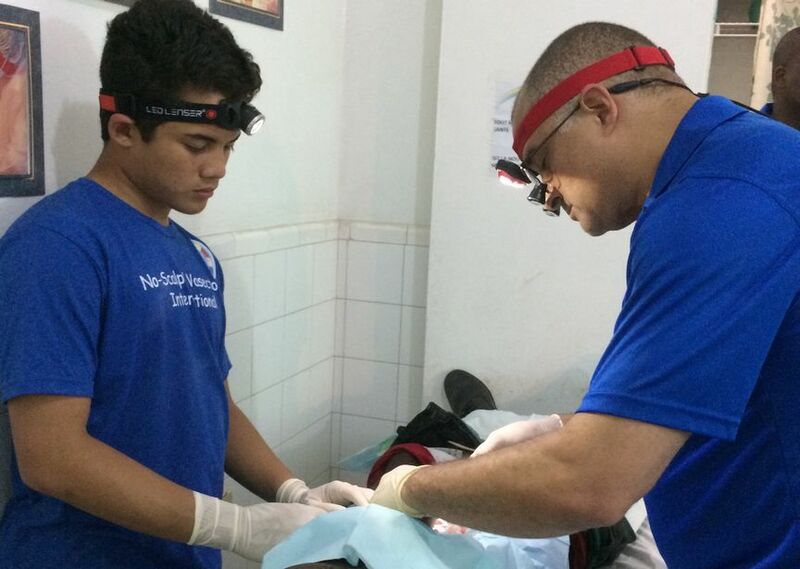 We all get a chance to work with Classaint and by the end of the mission, we agree that he is ready to operate alone. 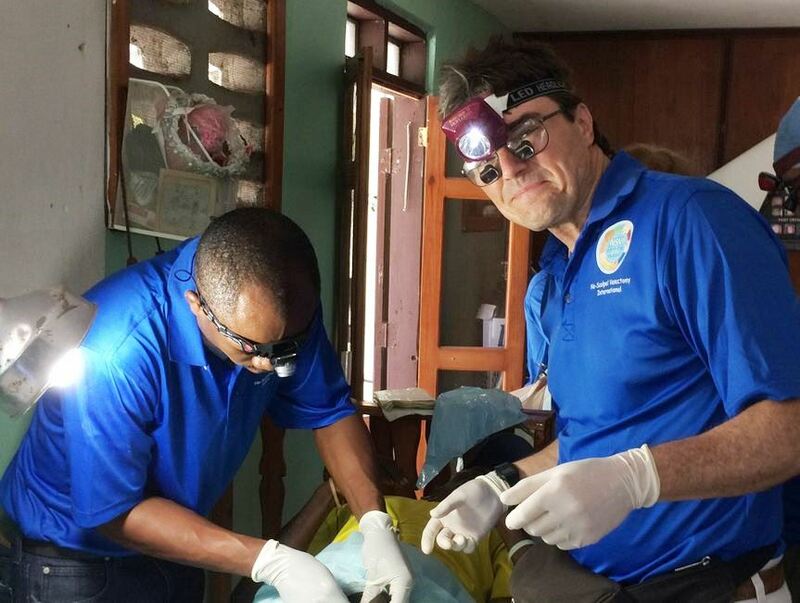 He is given 3 sets of NSV instruments and all other supplies needed to run his own Domestic Team and perform 20 vasectomies before we return in October. 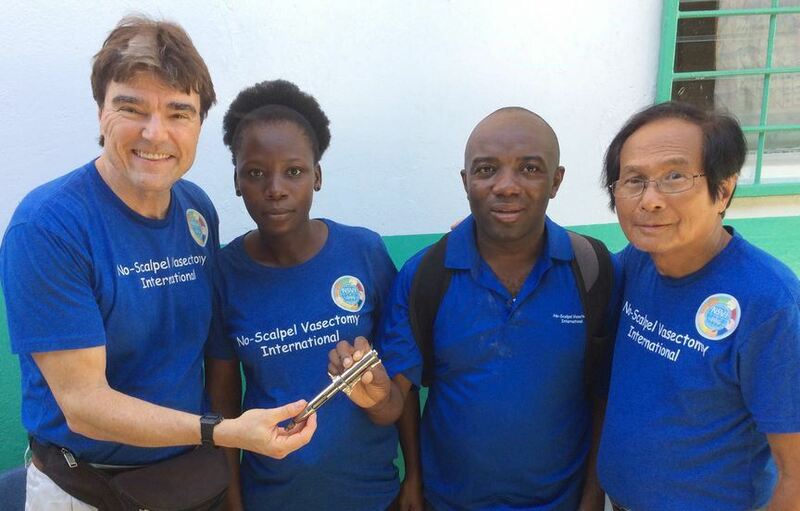 For their unwavering participation in NSVI Missions and consistent schedule of Domestic Team clinics, Dr. Maudelin Mesadieu and Nurse Judelande Jerome are awarded their own MadaJet, a gift from Mada Medical and NSVI. 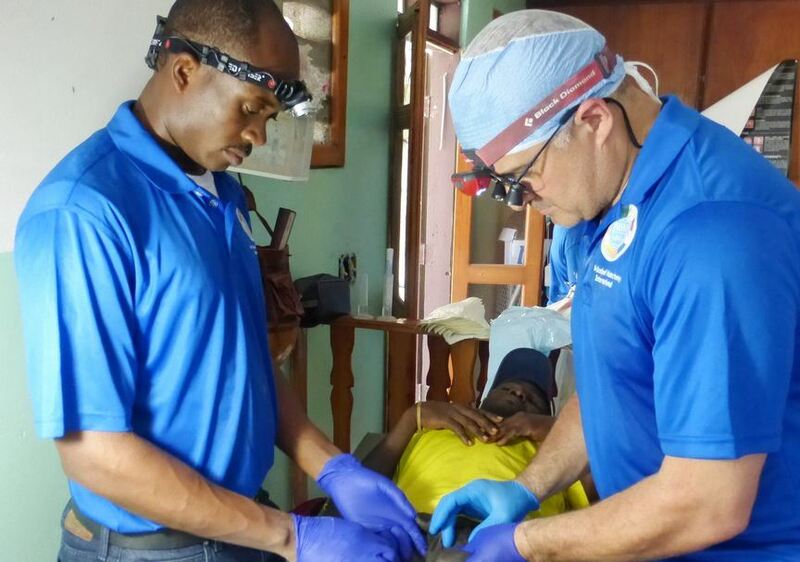 Maudelin has his own autoclave for sterilization between Domestic Team clinics, and at the end of each June mission, we will trade MadaJets so that I can bring his back to the USA for annual service, compliments of Mada and/or NSVI. 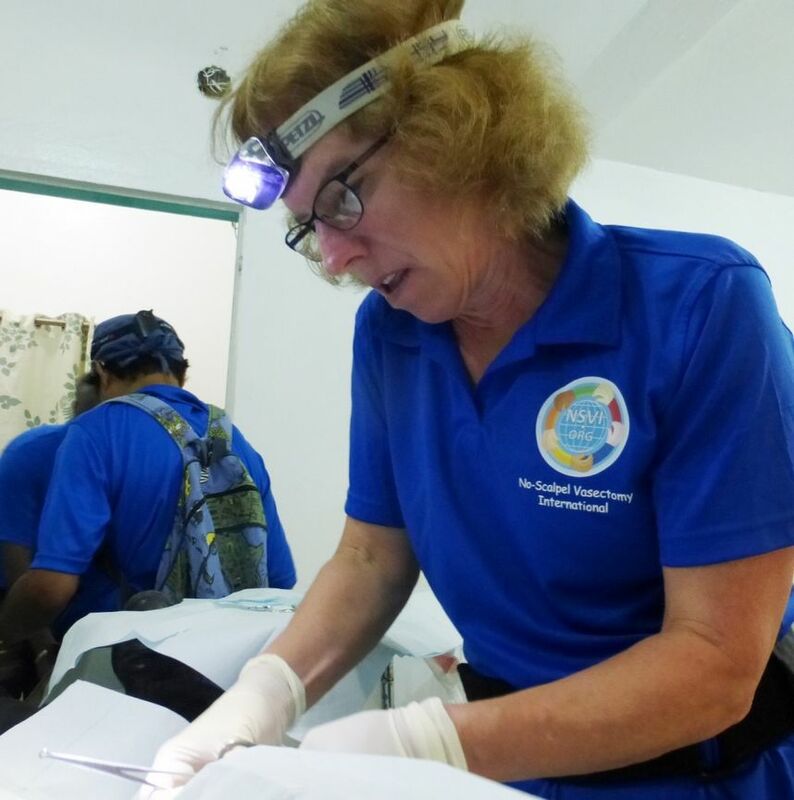 We also resupplied Maudelin and Judelande with enough equipment and sterile disposables to perform another 30 vasectomies (10 per month) before our return in October (click for details).